8 best landing page design examples you can't miss out for inspiration in 2018. Highlights you want to learn of each example has been listed and analyzed. Excellent landing page design will help to attract users, retain users, and improve conversion rates. The success of many websites has proved the affinity between the landing page and the website themselves. All of these successful cases have one thing in common: they have the best UI/UX designer and the best landing page design. Good designers know that an effective landing page design should clearly convey the unique selling proposition of product or service and focus on the UX design of a perfect CTA button, such as allowing visitors to register or buy a product. The best landing page design example should be beautiful and attractive for users to gain knowledge to complete the registration and purchase. But how to make one for your own site? There are lot of tricks on how to make an excellent landing page design. Here is a prepared checklist for you. Who is the target group of the site? Is a new visitor who knows nothing about your product? Or, is a user who already knows something about the product? The arrival pages for the two kinds of people are quite different. Ask yourself, what do you want the visitors to do? To leave emails, download apps, buy items, register members or read more articles? Accurate delivery of service/product information. Keep the information for different sources and arrival pages be clear and equal. Otherwise, it will only make your bounce rate soared. The reason why users arrive the landing page is to find the correct answer! All they want is to be useful and helpful here. Does it need responsive web design (RWD)? To put it in practice, responsive design is the best way to address the friendliness of landing pages on different devices like cell phones, tablets, and computers. There is no absolutely 100% excellent page, also no standards for success. To make a good landing page, data speaks louder than stories. So the most suggested method is to optimize the gained data, study visitor's stay time, bounce rate, conversion rate, read what, click on what ... Study the colors, comparing red Button and green button, who is performing well? Copy A or B? Then let A/B Test speak. A unique, all-in-one marketing platform that helps you chart a life path of innovation and creation. It has everything you need to develop and effectively manage your business. From creating landing pages and sales funnels to having your own secure members area, collecting leads and sending email campaigns as well as managing your affiliate network. It’s simple, it’s easy and with a 14-day $1 trial, you can’t go wrong! Based on the points above points, personally, I picked 8 of the best landing page design examples for your inspiration in 2018. 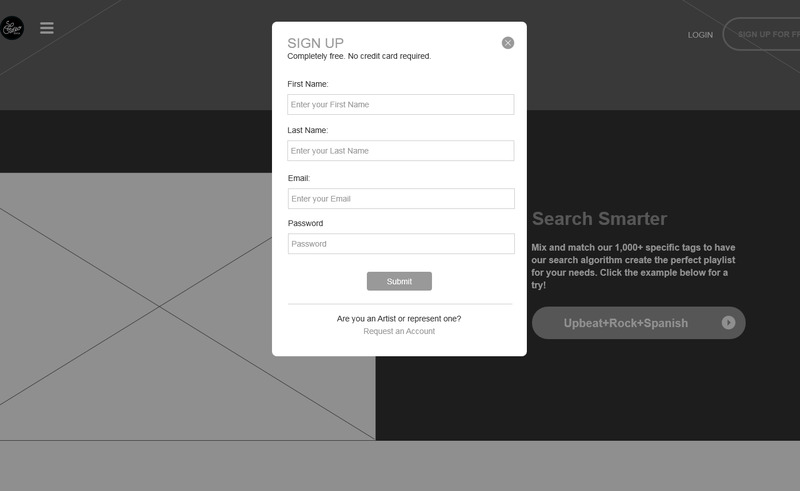 The slogan in white background and bold black font attract user's attention at the first glance, positioned the site itself as e-mail marketing. The gorilla image on the corner clearly shows that this landing page is created by MailChimp. The color contrast of blue registration button and white log in button stimulates users to create an account. Moreover, free is always welcomed. This is a landing page designed in blue background by Ramotion on Dribbble. A prominent bank card shows the site's main product and services. Smooth business processes display the steps for users to apply for a bank card. The clickable point allows users to click and jump to the specific introduction at the same page. As supplementary, the clickable process node and jump flow introduction enrich the presentation of the product, exposing as many details as possible for users on the same page. That is a smart design reducing the bounce rate of the landing page. The best way to design a landing page is to put the main CTA button in the first place. Obviously, Upwork makes good use of this. From their CTA design, it is easy to see that their goal is to attract businesses and freelancers to register. From the user experience point of view, the green "Post a Job" button targets on businesses, small characters, "What type of work you need?" is for freelance groups. Their copywriting is also very directional. Instead of using a rigid CTA like "Employer: register here," they use a profitable language ("Let freelancers do more work"), and then an action-oriented CTA tells the potential users to "post your work" here. Clean and concise flat design helps to show the smooth animation on the landing page. The creative combination of CTA button and animation makes the user experience of the entire page natural and vivid. Lively animation is also a good complement of the responsive theme for the site. The fixed head allows all the necessary information to be displayed while the page is scrolling, allowing visitors to receive information without moving the page up or down. Slack's most important collaborative capabilities are presented to clients as a personified image. Diversified collaborative document presentations enhanced Slack brand image. The landing page design provides a strong sensation of brand on colors. The CTA button on the page takes a short, straightforward "Get Started" as the customer's activity guide. As a website in flat design, color match of Matchpool is very fresh and lively. The concept of community reflected in the move of elves. The short copy also tells users that they are free to create their own community. The sharp color contrast of the CTA button makes it very eye-catching. Like I mentioned above, "Free" is always attractive for users. To help turn visitors into landlords, Airbnb offers some engaging personalization features: Estimated weekly average revenue based on your location. You can enter additional information about your potential accommodation in the field for more personalized estimates. How to become a landlord for income? How to get security? Step by step guide to the page provides users with a clear direction of web browsing. The performance of word of mouth and trust on the landing page more enhanced user experience mentally. As we all know, Flickr is a photo sharing or storage platform, both amateur and professional photographers can join and be inspired. Its landing page design takes the form of a picture carousel to showcase the user's photography. With the artwork scrolling along with the artwork's signature and author's name makes people be curious about the author and his work, and he can not help but want to know more about the author's work. This is also one of the charms of the landing page. The large, visible CTA button design draws users to the Flickr community and gets their inspiration from tens of billions of photos. How to Start a Landing Page Design for Your Own Website? With reference to the best excellent landing page design examples I selected, how to start a landing page design for your own website? Here are some tools recommended. Using prototyping tools to design landing pages is one of the most convenient and effective ways. Start a web page project in Mockplus, with the help of available 200 components and 3000+ icons, you can make a landing page prototyping simply and quickly in drag-and-drop. Generally speaking, elements used in most landing page design examples are common components such as pictures, text, buttons, input boxes etc,. For example, this music project, So Stereo, prototyped by Mockplus. In addition to using the convenience of a prototyping tool to design an ideal landing page before the project begins, templates can also be applied directly. For example, Unbounce and Leadpages, have provided a number of very good landing page design templates. There are many great landing page templates on Unbounce. Most of the templates focus on guiding users to switch. Unbounce also has a first-rate WYSIWYG page building tool to help users create their own landing page web pages. LeadPages offers many features such as web page layout, A/B test and optimizes SEO. Its biggest advantage is to integrate with other tools. For example, LeadDigits can help users to subscribe by entering their email address using SMS. Hope the best landing page design examples and design tools I listed above will be inspirational for your own landing page design in 2018. In addition, there are also many small details need to pay attention, such as how to make the CTA layout, how to use color in web page design, the location of the company LOGO, to enhance the page effect. As well as the title copywriting, support improvements may be greatly enhanced your conversion rate.